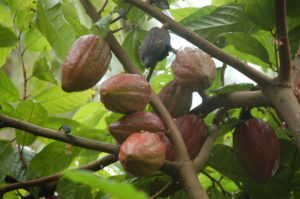 First we guide our guests through our Botanical Gardens, where we grow many rare exotic plants besides cocoa. 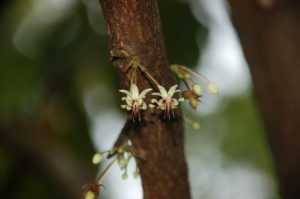 The cocoa flower grows right from the stem. But one of the highlights are our Thai cocoa plants, that first make tiny, pretty flowers that grow right from the stem before making cocoa fruits. 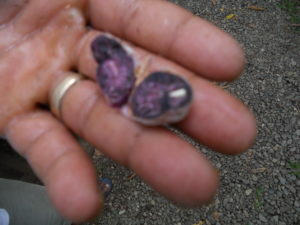 Ripe Thai cocoa fruits are red, or yellow. We show the whole process of fermenting, roasting, grinding of the cocoa beans, step by step. 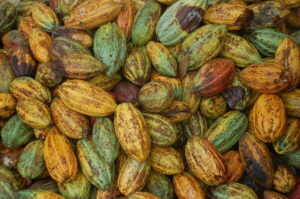 This is the fermenting of cocoa beans to achieve chocolate taste. 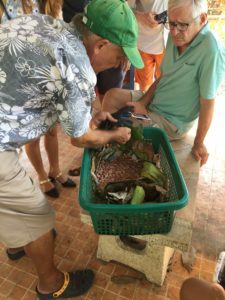 Before you can ferment, you have to take the cocoa beans out of their seed pods. The white stuff around the beans is delicious as well and can be tasted at our “Chocolate Academy”. 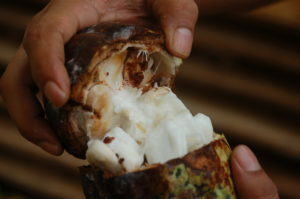 The white stuff around our Pattaya cocoa beans tastes a bit like mangosteen. 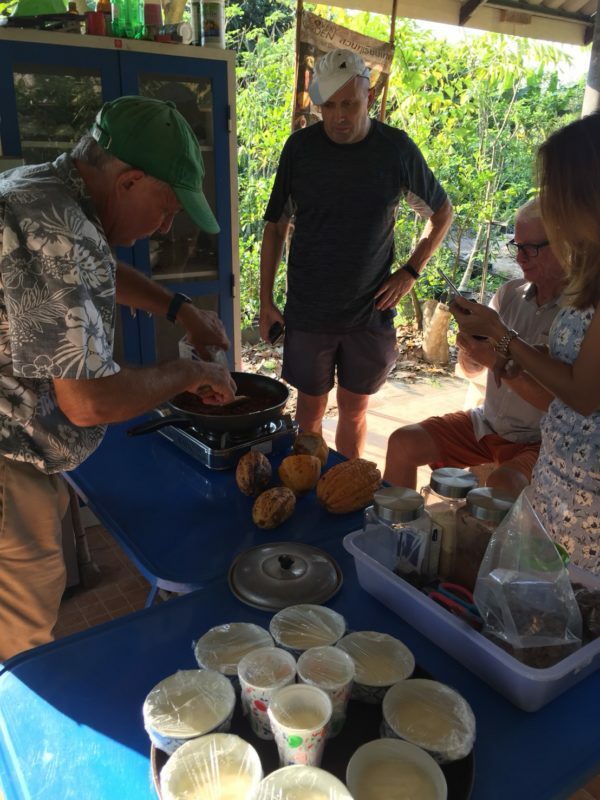 The proper roasting of cocoa beans is very important, if you want to get good chocolate. Every step in the production of chocolate matters. 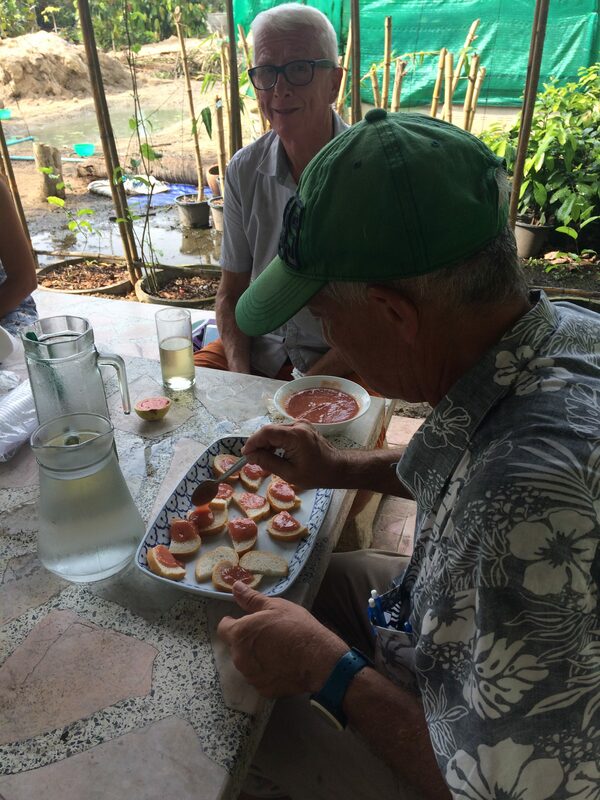 We let our guests at the “Chocolate Academy” not only taste chocolate, but all fruits in season and our home made exotic jams. One of our exotic jams. 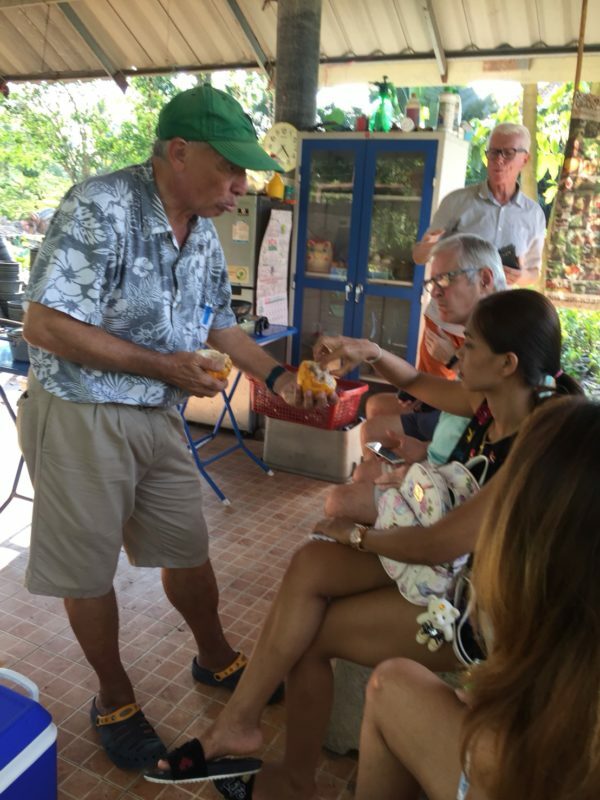 Chocolate making in Thailand is great fun. 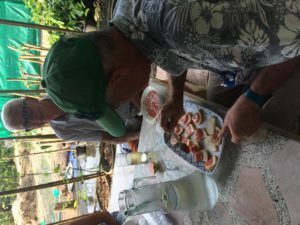 Tasting new things at Discover Garden Pattaya or Nong Khai. 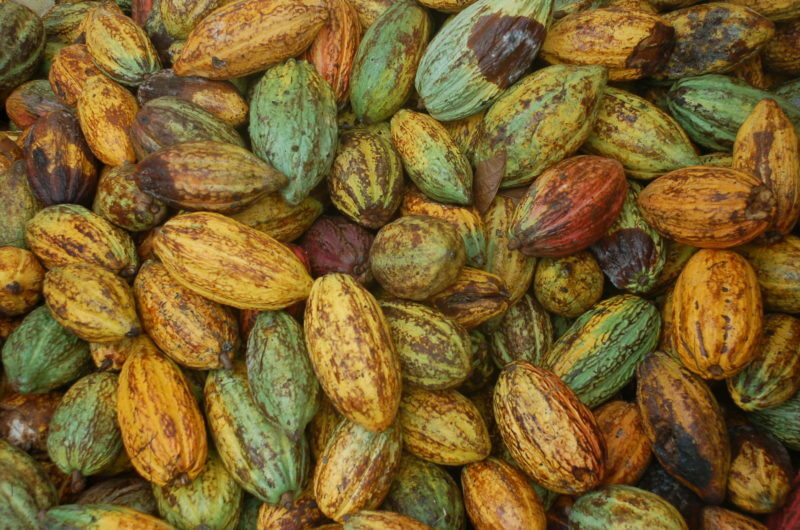 These are our Trinitario cocoa seed pods in Thailand.